The Wild substitutes for all symbols but not for the Scatter symbol to complete winning combinations. Only one winning combination will be paid out per payline. 3 or more Scatter symbols scattered anywhere on the 5 reels complete a scatter winning combination and activates the Bonus Round. The Bonus round determines how many Free Spins and Multipliers get awarded in the Free Spin Bonus round. Dig for the treasure to receive up to 40 Free Spins and up to a 10x Multiplier. 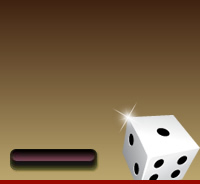 Begin the Bonus round with 2 Free Spins and a 1x Multiplier. Start by clicking any X on the first island on the treasure map. 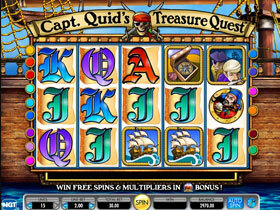 An X could have additional Free Spins or a Bonus Multiplier value. There could also be an Extra Pick or an Advance arrow that follows on to the next island on the treasure map. Continue picking until there are no more Picks or when arriving at the last island on the map. When the Picking ends, all the Treasure Chests are revealed and continue to the Free Spins Bonus Round to play out the Free Spins earned.